If you need a new vehicle for business or personal use then AKORIN Finance will help to get a competitive car loan, giving you the chance to test your new wheels on the Adelaide roads fast. Having a safe, reliable and comfortable car is essential for most people but it’s not always easy to have the funds to pay up front. Securing car finance with AKORIN Finance and our expert brokers will give you the opportunity to get the vehicle you want today. 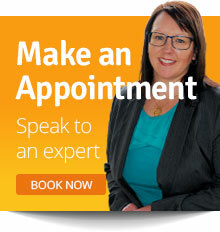 Why Choose Adelaide’s Car Finance Experts? We have a huge data base of lenders that we work with to get you a competitive deal. We work quickly to get your loan approved so haven’t got to wait to get hold of those keys. We know that every one of our clients is individual and we offer a service to suit everyone’s needs. Don’t delay; Contact AKORIN Finance today for personal and professional vehicle finance advice. Get your loan approved today. Our helpful brokers are waiting to help you now.